Teacher’s Comments: An enjoyable juxtaposition of biopix and documentary. If you love golf, this is a must-see. 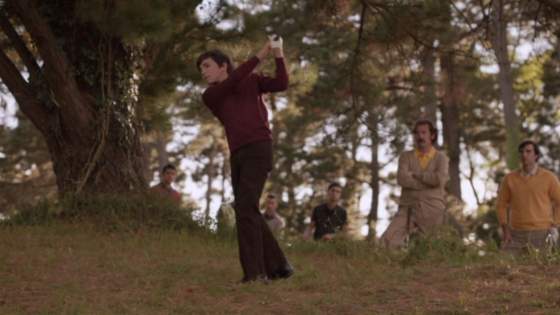 Now showing in limited theatrical releases across the country, Seve: The Movie is an moving portrait of the life of Severiano Ballesteros, the five time Major winner who perhaps single-handedly revived European golf in the 1970s and 1980s. 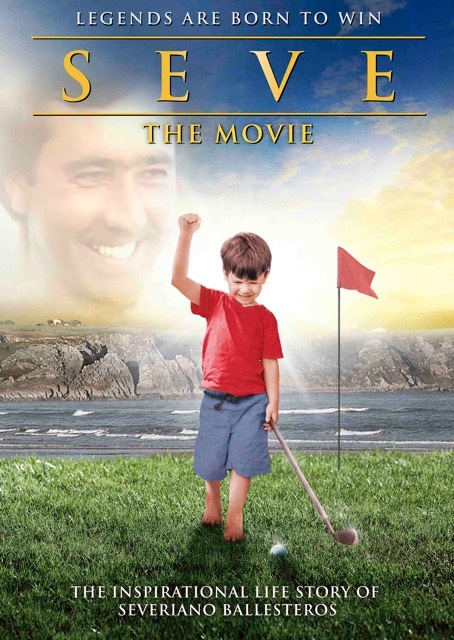 Seve: The Movie is an intriguing mix of archival footage of the adult Seve and re-enactments of the golfer’s early life. The young Seve is played by Jose Luis Gutierrez, a 16-year-old who plays to a 4 handicap, but has no previous acting experience. Guiterrez does an admirable job. It was better, I think, that Director John-Paul Davidson find a golfer and teach him to act, than to find an actor and teach him to golf. I believed that Guiterrez was the young Seve. He had the mannerisms and charisma that golf fans associate with Seve. Throughout the movie, director Davidson skillfully interweaves the re-enactments with archival footage. 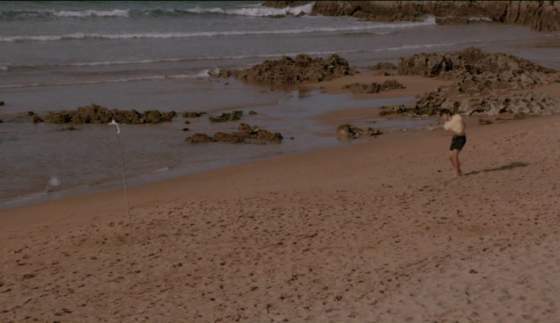 As young Seve practices a shot on the beach, director Davidson switches to a clip of the real, adult Seve hitting a similar shot in a tournament. As the young Seve hugs his brother/caddy after a match, the director switches to a clip of the adult Seve hugging his caddy after a tour victory, then switches back to the re-enactment. As the young Seve hits balls in his family barn, director Davidson cuts to an interview Seve did as an adult in the same barn, talking about how he practiced there. The film also includes commentary by the like of Gary Player, Ben Crenshaw, Nick Faldo and Tiger Woods. As with the re-enactments and archival footage, these are seamlessly integrated into the narrative. Seve’s story, as any golfer knows, ends too soon. Dying of a brain tumor at age 54, Seve’s light burned so very brightly for a relatively brief period of time. The end of of the film shows footage of his acceptance of the Lifetime Achievement Award for the second time at the BBC Sports Personality Awards 2009. That is followed by tearful clips from his funeral, and later, European Ryder Cup team members invoking his name in the matches. It is quite the tearjerker at that point. While I am not certain how much this movie would be enjoyed by a general audience — it lacks the straightforward narrative and drama of something like The Greatest Game — I think that it is compelling film for golf fans.